FILLING the pasture-based feed gap during the winter months can be a real inhibitor of profitability for many beef operations in the southern regions of Australia. That’s according to a report released today by 2017 Nuffield Scholar Stuart Tait, who conducted global research into cost-effective ways to manage and fill the seasonal feed gap in pasture-based beef systems. “I felt that we weren’t fully capitalising on the climate and rainfall in our region. Wanting to make the most of the land we have, I used my scholarship to travel throughout New Zealand, Europe, the United Kingdom, North and South America to piece together the jigsaw puzzle of more profitable grazing,” he said. Beating seasonality and developing a year-round solution to fill the seasonal feed gap was a key focus of Mr Tait’s research, looking at innovative ways to overcome difficult autumn conditions such as stockpiling pasture, self-feeding silage pits and bale grazing. Stuart Tait’s desire to develop a more profitable farming system and boost the business’ productivity motivated his Nuffield research. His report makes a number of recommendations around increased data analysis, flexible enterprise mixes, and also proposes examples of annual forage sequences that allow for pasture-based production throughout the year. “The forage sequences leverage productive species like cocksfoot, lucerne and chicory through spring and summer, with dual-purpose wheat filling the feed curve through winter,” he said. This approach also encompasses innovative feeding techniques from around the world, including the use of self-feeding silage pits during the challenging autumn months. Swath grazing involves swathing pasture or annual crops, like oats, into windrows prior to winter. The swathes are left in situ, and snap freeze at the onset of winter. Cattle are given a set feed allocation, and are grazed behind an electric wire along the swathes under the snow. “Back home, there is potential for this method to be applied to perennial grasses like phalaris, following spring periods of excessive growth. The stockpiles could then be used during the autumn period for non-lactating pregnant cows,” Mr Tait said. His research was borne from the simple understanding that increasingly, producers need to do more with what they have. 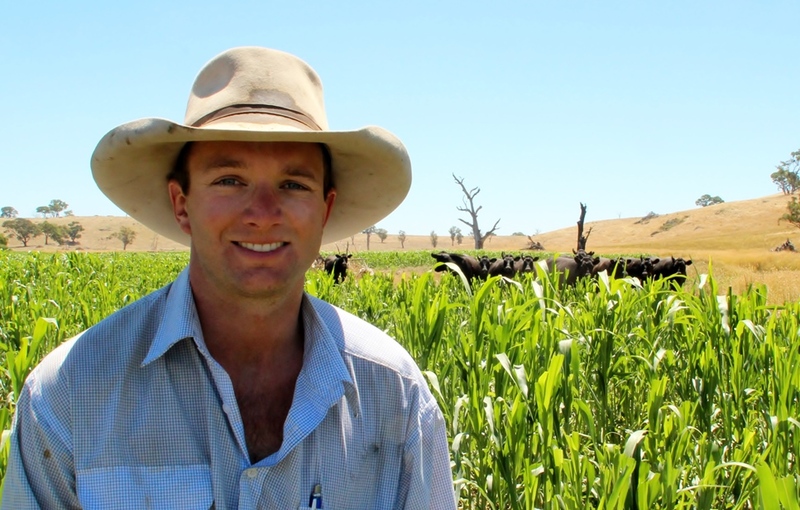 Stuart Tait’s Nuffield scholarship was supported by Meat & Livestock Australia. We inspected Stuart Tait’s operation at tha Grasslands Conference. Very interesting. Could I get a copy of his Rrport?